He said it was “very hard to truly vet” the visa applicants from the seven Muslim-majority countries covered by the Trump administration's travel ban, which is now in legal limbo. Many of the countries are failed states with little internal infrastructure, he said. A key concern is that the U.S. is relying on someone's political ideology to vet their entry, said Michael Macleod-Ball, chief of staff with the American Civil Liberties Union's Washington Legislative Office. "The issue is what information are they (U.S. border agents) looking for, and how are they interpreting it," he said. "We've had all kinds of concerns over the ambiguities." 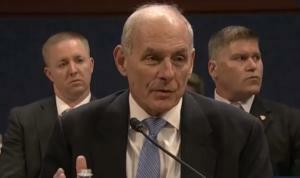 Others think the DHS's proposal is pointless and note that U.S. intelligence agencies, such as the National Security Agency, are already mining the internet for hints about terrorist activity. “It’s pretty obvious that if you’re a terrorist you can create a dummy social media profile,” said Timothy Edgar, academic director of Brown University's Executive Master in Cybersecurity program.